Emily and I (the designers behind Tin Can Knits) met and got their start designing while working at Urban Yarns back in 2009! 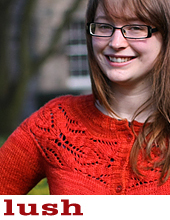 Just four years later, we have published 4 collections of popular knitting patterns, and Emily now lives across the pond in Edinburgh, Scotland… the land of haggis, men in kilts (they really do wear them), and year-round sweater weather! 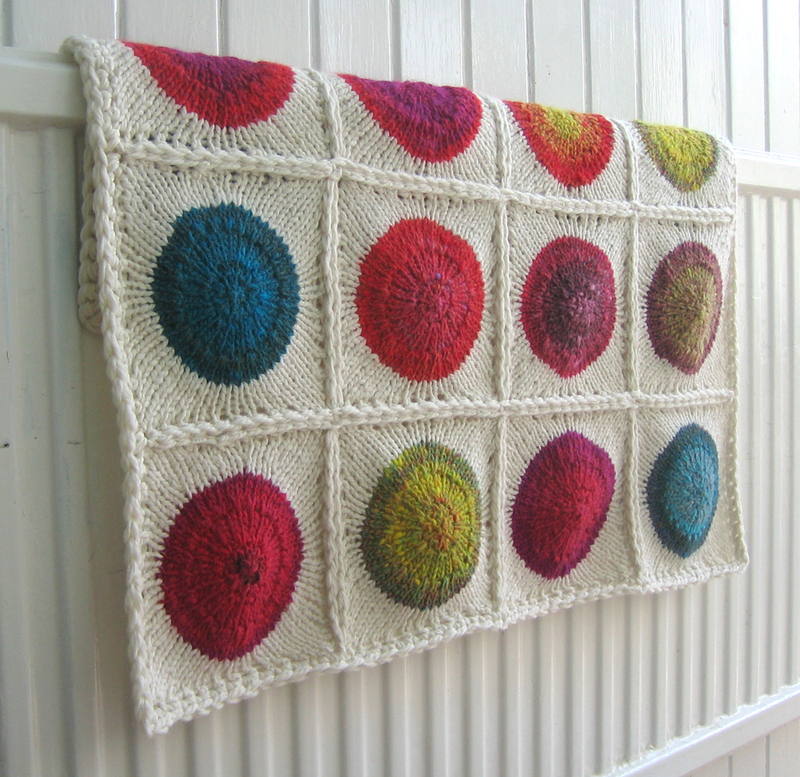 Emily is bringing the adorable Pop blanket with her – book now to learn all the techniques from the designer herself! Classes will be run at the North Van and Point Grey shops on Oct 21st and 22nd. Click here for more info and call 604-228-1122 to book now. 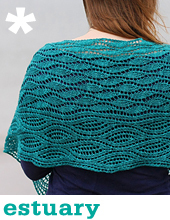 After what is sure to be a hectic weekend of stash enhancement at Knit City, Emily is back at Urban yarns on Sunday November 3rd, for an all-day intensive shawl design course. 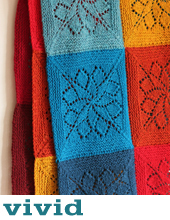 Bring some beautiful yarn, your favourite stitch patterns, and a willingness to try new things, and she reveal her own inspirations, and guide you as you bring your ideas to life in lace! Click here for more info and call 604-228-1122 to book now. 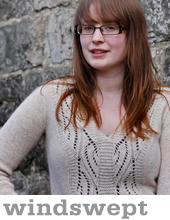 Emily’s latest book, Handmade in the UK, was inspired by her new, romantic surroundings. These lace designs are inspired by her newcomer’s perspective on the historic urbanity and romantic countryside of her new home. 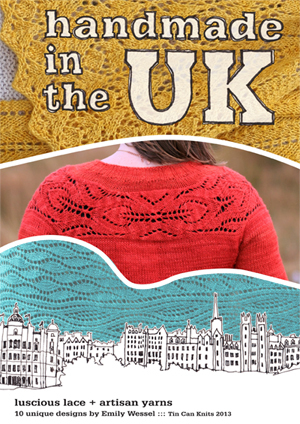 From the irrepressibly floral motifs that bloom on the Botany shawl and the Lush cardigan, to the crisp architectural lines and geometric patterns of the Bonny top and the Winding Way socks, to the water and landscape motifs of the Windswept pullover and Estuary shawl which take their inspiration from the wild landscapes of Scotland – this collection is has a wealth of interesting lace designs! This entry was posted on Sunday, September 29th, 2013 at 10:22 pm	and is filed under Uncategorized. You can follow any responses to this entry through the RSS 2.0 feed. Both comments and pings are currently closed.